Beautifully written, as usual 🙂 I remember a long time ago, before that August you mention, of discussing writer’s block with you. You gave me great advice, which helped, even though it took me six months to write another word. I hope you used it too, and I’m so glad to see how much you’ve grown. You’re beautiful! Definitely a great, much needed post. Too tired to think of any other comment than that right now. Oh, did think of one more thing. 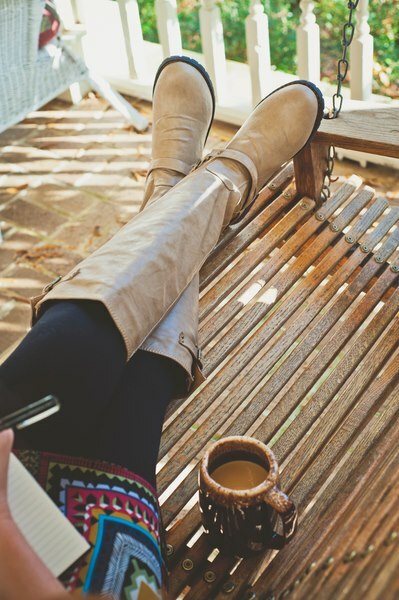 Great boots! Well said. I keep showing up but sometimes the muse phones in with some story about terrible traffic or an uncle with an operation. Nothing I can do, you know how hard it is to find a good muse these days! The Wife Unit was six months pregnant with out first child, three months of that barfing at the mere whiff of fish or some other smell that seemed to change on a weekly basis. One weekend, I came home from the grocery store and she was sitting on the couch with tears rolling down her eyes. I asked her what’s wrong? “I just can’t think. I wanted to do something today but I can’t even remember what it was,” she said. Now, keep in mind the Wife Unit is one smart lady. She’s highly creative and spooky-smart. She’s a mathematician and a software engineer. At this time in her life she was making thousands of more money than me per year (yeah, I married up). Heh. Fun times, fun times.